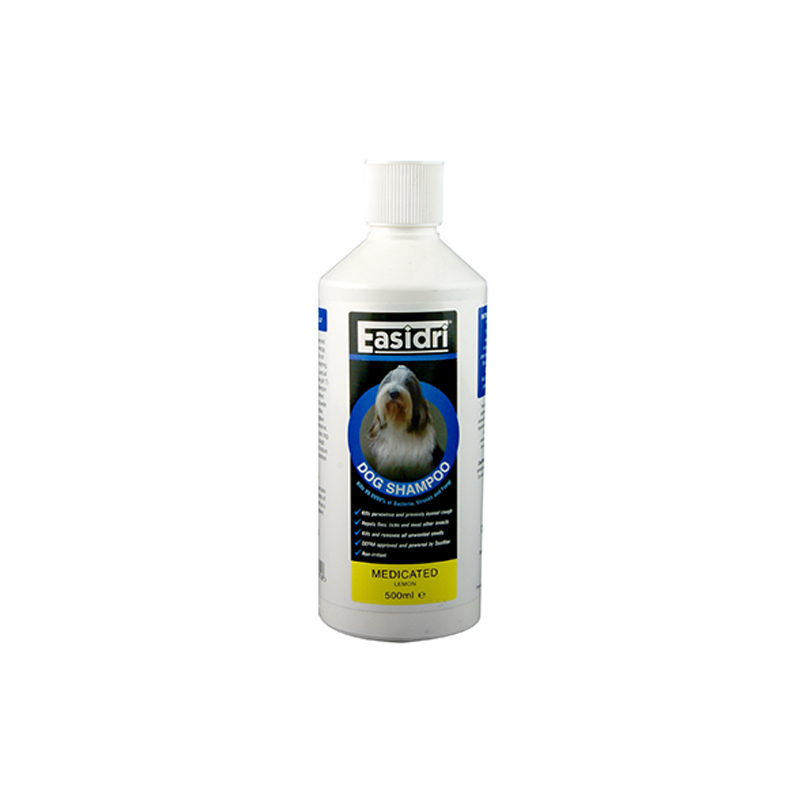 Easidri Medicated Dog Shampoo contains the DEFRA approved active ingredient, Duomax, which kills 99.9999% of bacteria, fungi and viruses. It has a gentle, effective formula (pH neutral), which is completely safe to use on dogs but can help to prevent kennel cough and can also repel flies, ticks and other insects. This lemon-scented shampoo not only removes unwanted bugs and odours, it can also improve your dog's coat condition and shine. The DuoMax active ingredient is DEFRA approved and has successfully passed European standards EN1276 against bacteria and EN1276 against fungi.